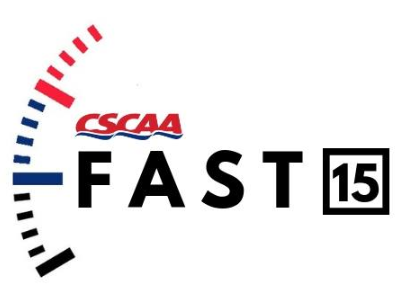 The CSCAA Fast 15, aims to get coaches up and physical throughout the season. Do at least 15 minutes of some physical activity - walking, strength training, swimming, anything that keeps you moving - each day during the week. Every week a coach completes five Fast15 workouts, they will be entered into a monthly drawing for a SpeedoFit gift certificate. Four weeks = four entries! Additional challenges will be posted throughout the season. The CSCAAFast15 kicks off Monday, October 1st and first drawing will take place a month later.